I hope you’ve all been well! 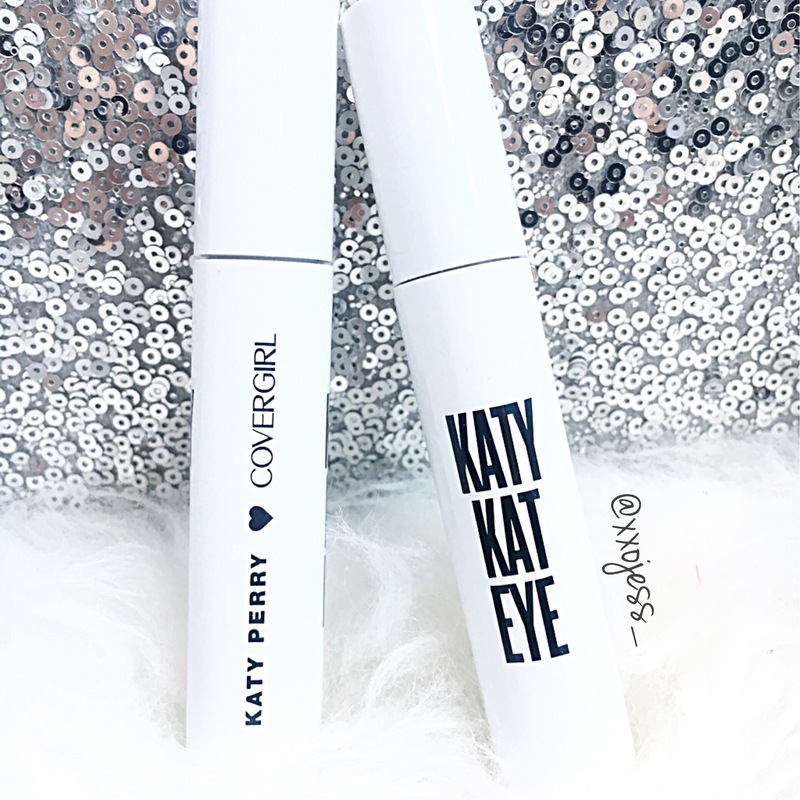 I’m super excited to share my thoughts and swatches on the Covergirl Katy Kat Matte Lipsticks by Katy Perry. These lipsticks are supposed to have a demi-matte finish, which means that they look matte but are moisturizing! I really like this concept, as I think matte lipsticks are really in right now, but when they are super drying they are impossible to wear. I found these lipsticks super comfortable for a good four hours or so of wear. These aren’t long lasting lipsticks, so re-applying was necessary after eating meals! This collection has 11 shades that range from nudes to a bold black! I believe in the states there are 13 shades, but in Canada we have 11! I love how this collection has many various colours..especially different shades! You of course have your typical colours such as red, coral, but there are different shades such as black, bright purple, and mauve colours that really are quite appealing. 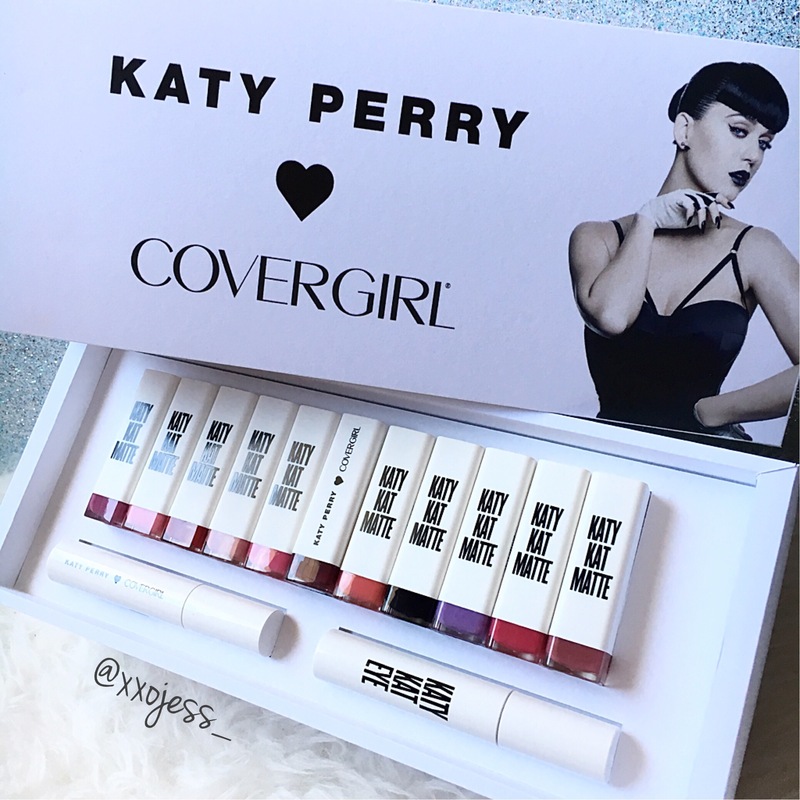 I love that Katy Perry was really involved in picking out the formula and colours for this collection. The packaging is also super cute! I really love the white tube with the colour shown on the bottom. I think all of the names and shades really show Katy Perry’s personality as a bold individual. Pink Paws: This pink shade isn’t my favourite on me, and does make my teeth look a bit yellow. But I think this shade could definitely be a fan favourite, as it is a really nice pink! I actually don’t wear this kind of pink shade often, which may contribute to why I feel a bit strange in it–but it is comfortable and wears really nicely on the lips! Coral Cat: This orange/coral shade is bold but isn’t too bold in my opinion. It will definitely move heads, but it isn’t a totally out there colour that one would odd in! I actually like this shade quite a lot. I have a few coral lipsticks and I don’t think I have one that dupes this one! Magenta Minx: I think this is a really flattering hot pink shade. I really enjoy that this formula looks matte but feels moisturizing. This hot pink colour isn’t too bold, but just enough to make a statement. I think this is a shade that is in most lipstick lines, but what makes it is the formula and feel! Cosmo Kitty: This is definitely a bolder shade! I have a lot of purple lipstick and this is one I am excited to add to my collection. I think this shade would look amazing on all skin tones and is really different. I think this is an amazing shade that I really think everyone should try! 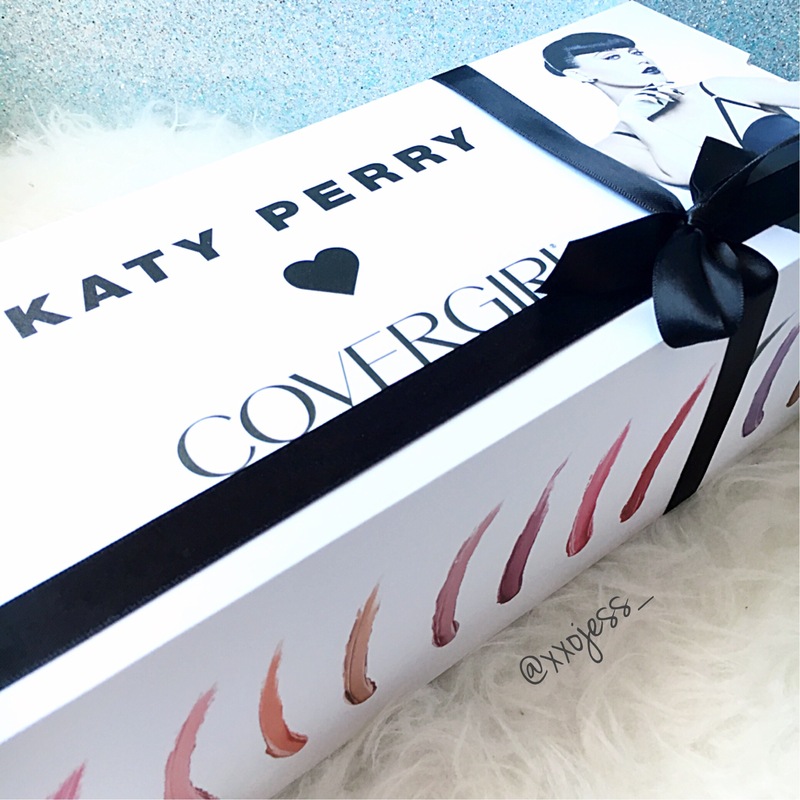 Kitty Purry: Firstly, I love the name of this shade hehe! This is one of the shades that first stood out to me, as I love mauve/purple shades. This is one of those colours that is different, but not too out of the ordinary to wear on a daily basis. I really enjoy the colour of this colour and I’ve been wearing it a lot! I think this will also be a fan favourite! Cat Call: DAMN, now this is a bold colour! This bright pink also has some red in it, so I knew I would like it right away. I love that it is moisturizing, as most shades like this are typically matte and drying. This shade also stained my lips so when it faded, it actually looked nice and not patchy whatsoever. Crimson Cat: I feel like this classic red has a hint of darkness to it. For some reason this colour looks a bit darker than some other ‘classic reds’. I absolutely LOVE it though! I can totally see myself picking this red shade over others when I’m going for an elegant and classy look. I think the fact that it is so comfortable also adds to the greatness of this shade! Maroon Meow: This maroon and slightly purple shade is really pretty! I did find that this went on a bit patchy with a bit of bleeding outside the lines. I would recommend a lip liner for this shade, or even using a lip brush. I like how bold and dark this shade is, and would definitely be stunning in the fall! Perry Panther: I rarely see lip shades at the drugstore that is straight up black, so I love that Katy Perry came out with such a great shade! I definitely would use a lipliner or lip brush for this shade, as it is extremely difficult to get a straight line! I feel like putting on a black leather jacket and some boots when I wear this! 😉 I like that it has a moisturizing feel, and in the light this colour can actually look a bit like a super dark green, which is so cool! I think this colour is amazing for people who want to go out of their comfort zones! 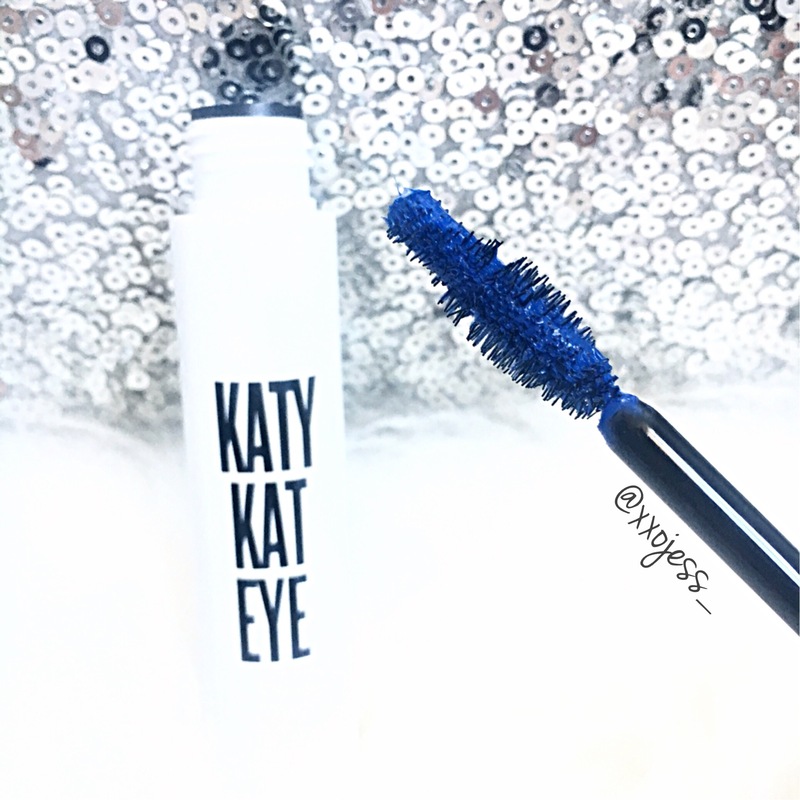 I also got the opportunity to try Katy Perry’s new Katy Kat Eye mascaras in Black and Cobalt Blue. I liked the cobalt blue shade a lot, but the fact that they aren’t waterproof is an issue for me. It didn’t really make me look like I had any lashes at all, which isn’t what I’m really going for. 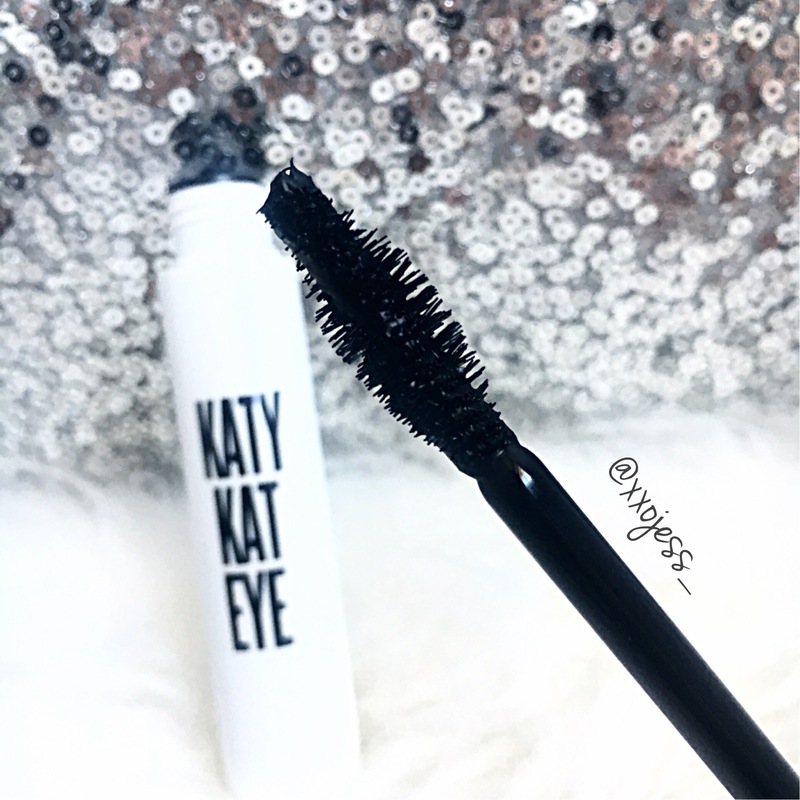 I think for a basic mascara it is fine, but I look for a lot of definition and volume for my lack of lashes! What do you think? Have you picked any of these up? If not, will you? Note: Products were sent for review, but all thoughts and opinions are my own. Oooo, I need Kitty Purry in my life! That’s the shade that stood out the most for me because I don’t have many mauve shades in my stash. I have Crimson Cat and I love it!! It’s to bad about the mascaras, I love the packaging but I won’t buy it for just that reason. I have a few of these and love Cosmo Kitty. What an awesome set to be sent for review!!! I love your lip swatches!!! Im still on Vacay buy i may pop into shoppers tomorrow am to check these out lol. The nudes / light mauves are screaming my name!! That’s so amazing that you got to try all the colors. I remember watching your snaps of the event. The colors look gorgeous on you! Kitty Purry looks amazing! Great review Jess. The swatches look great on you, very pretty. I love the names of the lipsticks!